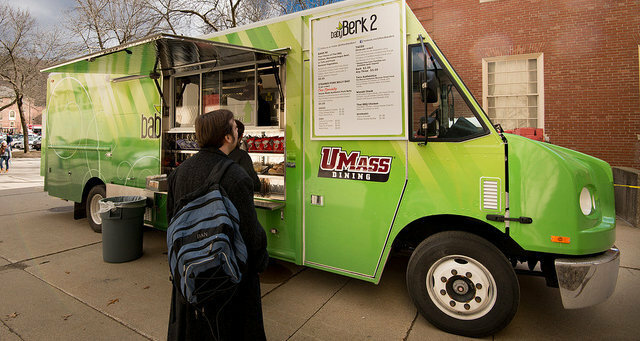 Follow us on twitter @UMassBabyBerk2 to find our daily schedule or get real time location update on our app. babyBerk2 brings you an array of Fusion Quesadillas, and our famous Loaded Tots menu. Prefer upscale grilled cheese? We have that too!